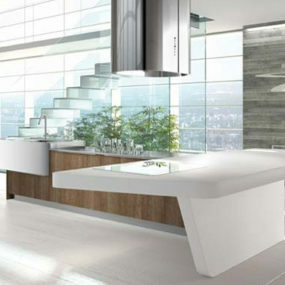 The Area ultra-modern kitchen from Arrital Cucine is an exclusive design from a trusted company. 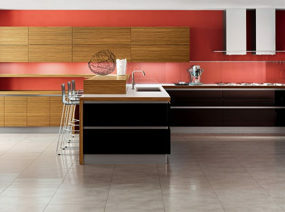 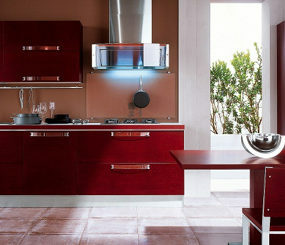 Representing top Italian style, the Area kitchen transforms your home into the pinnacle of chic. 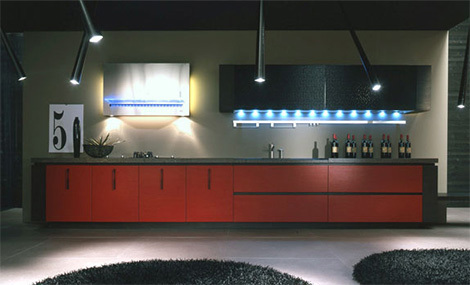 The bold color scheme of black and red is teamed with futuristic stainless steel and blue lighting to make a dazzling statement. 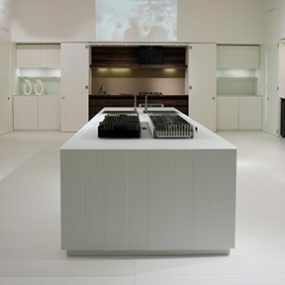 Not only visually pleasing, this Italian kitchen has a textual element too. 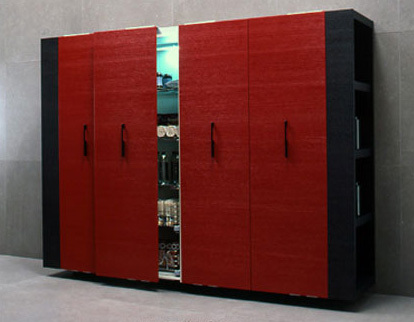 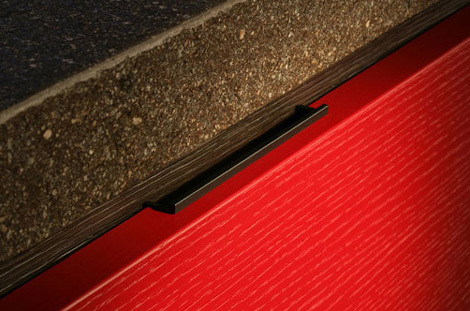 The rough grained red doors juxtapose with the smooth black edging. 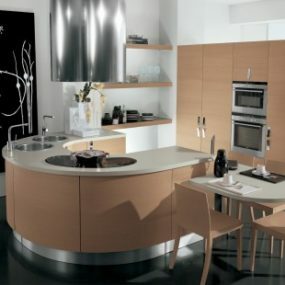 The worktop is of heavy, dependable stone with a gorgeous flecked appearance. 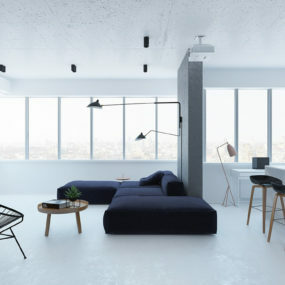 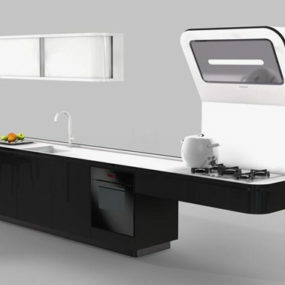 The Area has a geometric look, with black handles being placed vertically, and a horizontal black line emphasising the straightforward lstyling. 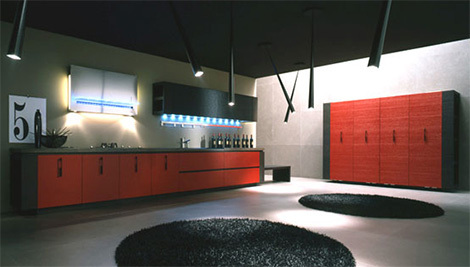 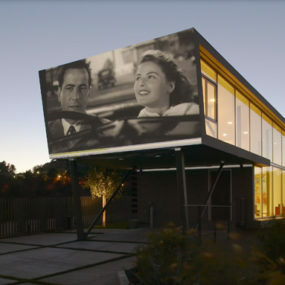 Jutting, cylindrical lights emerge unexpectedly downwards from the ceiling to highlight the persuasive linearity. 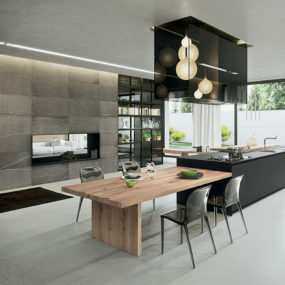 A fabulous, cutting-edge kitchen, the Area is from Arrital Cucine.